It’s probably a good bet that Joe Biden hasn’t had any real responsibility since Barack Obama tapped him as his running mate in April 2008. Depending on what you think of politicians, his do-nothing streak goes back even farther because Biden won a Delaware US Senate seat in 1972 and was elected to the New Castle County council two years before that when he was 27. He was graduated from Syracuse University College of Law in 1968, leaving virtually no time to pad his resume before plunging into the cesspool of local politics with his bid for county council. So Crazy Uncle Joe has been a glad-handing, back-slapping, empty-headed, faux-pas machine of a politico for 47 years. He is a living, breathing argument in favor of term limits. and use of force authorizations don’t allow for ground troops and might even attempt to hamstring future presidents who care more about the national defense than does our current commander-in-chief. 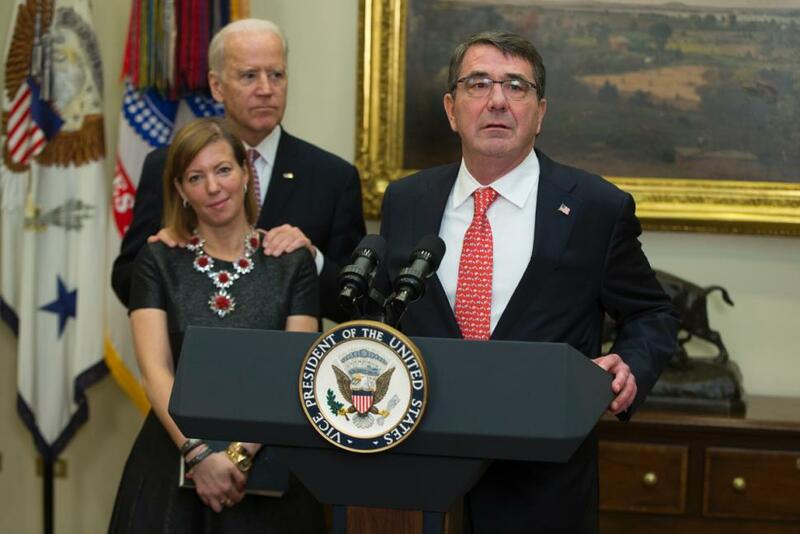 This entry was posted in Politics & Current Events and tagged Ashton Carter, Joe Biden. Bookmark the permalink.